Tickets: £37.50 (£35.50), £34.50 (£32.50), £27.50 (£25.50), £21.50 (£19.50), £17.50 (£15.50), Under 26s £13.50. Opera at its most extreme. Concentrated into just 100 intense minutes, there is no let-up in its power and intoxication. 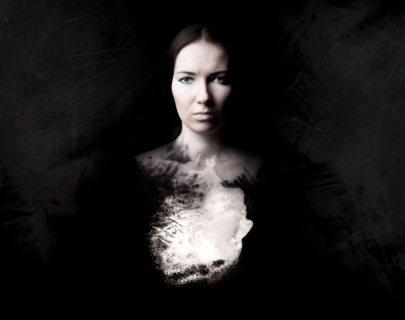 The latest in Opera North’s powerful concert performances in concert dress, this is the savage and bloody tale of King Herod’s step-daughter Salome. When Herod’s prisoner Jokanaan rebuffs her advances, Salome vows she will kiss him—no matter the consequences. From the seductive Dance of the Seven Veils to the explosive vocal parts, the violent sensuality of the score illustrates every moment of the story with unflinching vividness, illuminating the darkest corners of a world that has lost all moral compass. A new concert performance of a work that caused an outrage when it was first performed in 1905, and which, more than a century later, has lost none of its power to shock. The following information is for teachers and home educators. If you are not a teacher or home educator you can book tickets for this show by clicking on the ‘Dates & Times’ tab above. An ideal introduction to opera with a shortened performance time. Ideal for music students who are interested in exploring the form. The show is in concert dress not costume so students can be encouraged to consider how the music tells the story without relying on theatrical tricks and extras. 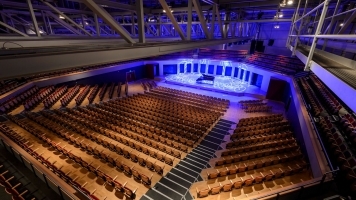 To find out more or to book, call our dedicated schools booking contact Amanda in the Box Office on 024 7615 0930 or email groupbookings@warwick.ac.uk. Why not visit our John Piper exhibition in our Mead Gallery. It’s FREE entry and we can organise a FREE tour and/or workshop for your group. Contact Lynsey Cullen on l.cullen@warwick.ac.uk to find out more. Want to receive regular monthly email updates about special offers, teachers’ resources, exclusive opportunities and events, and priority notice of our artistic programme for schools? Sign-up to our FREE Teachers’ Membership Scheme.